I am usually not the biggest fan of quinoa all by itself, but I had a huge bag in the pantry and needed to find a way to use it up. 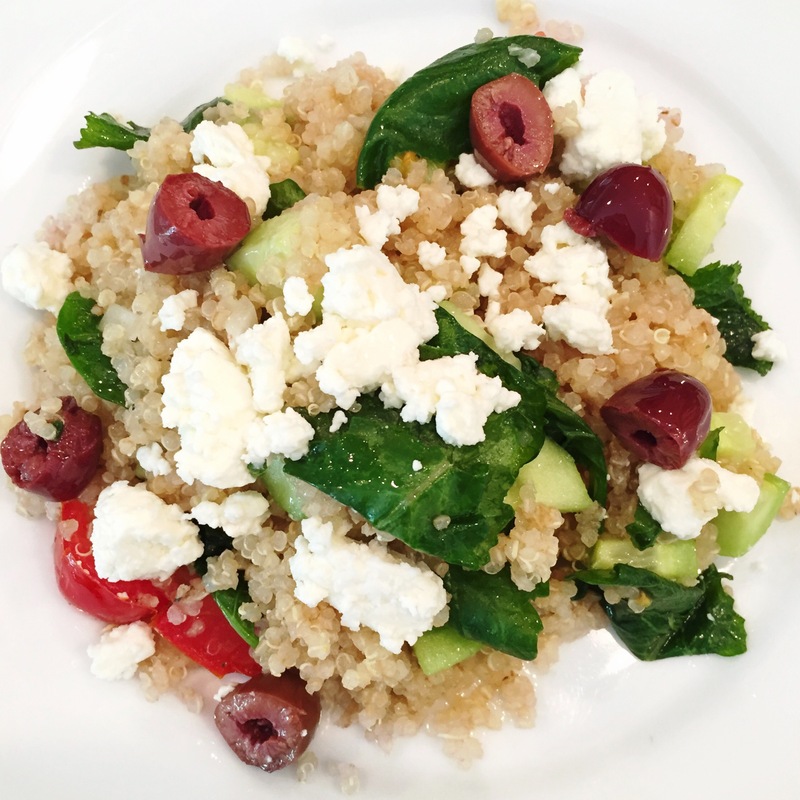 After searching Pinterest for ideas, I found the most delicious and super healthy quinoa dish! I doubled up on the recipe, as I like to have a bunch for my roommates and I to eat for the next few days. But the recipe below serves 4. This is one of my new favorite recipes, as it only took 15 minutes to make and it is sooooooo yummy! Cook quinoa. Add water and quinoa into medium pan, bring to boil. Turn stove top to low heat and let quinoa cook for 15 minutes, or until desired texture. While your quinoa is cooking gather all of your vegetable and chop up. Mix all veggies in large bowl. In separate small bowl mix together your dressing. Olive oil, lemon juice, salt and pepper. Stir dressing in with vegetable. Add quinoa once cooked and stir thoroughly. You can eat this dish hot or cold, its just as delicious either way! And feel free to switch up the veggies or take certain ones out if you are not a fan. Let me know if you recreate this recipe and how you like it! Of course!!! Let me know how you like it!